Don't waste your money by turning up at the gate to park at a UK airport - The discounts we offer for pre-booking are well worth the short amount of time that it takes to book on line. Airport Parking are one of the market leaders for UK airport parking and are synonymous with quality and efficient friendly service for airport car parking and hotels which offer airport parking as a package in the UK. Book your holiday parking with us online or call our UK based call centre - either way we do our best to keep things easy going! Book your airport parking early to guarantee a space! 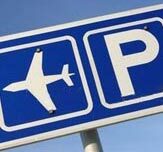 Airport Parking offers car parks that are on site at the airport and off airport at 24 UK airports. You won't find a better deal when you pre-book a parking space at one of our secured airport car parks. We offer you the best airport car parks with the best service at the best price! One of the UK's most popular airports - We offer a wide choice of Gatwick airport car parks - find the right holiday parking to suit your needs. Book in advance to get the best price - the price for airport parking goes up as you get closer to your departure date. We are constantly reviewing our parking prices at Heathrow, the UK's busiest airport - We maintain the cheapest airport car parking prices in the business. Unbeatable savings and special offers when you pre-book Airparks Services parking at Luton airport. Airparks services offers cheap airport parking that really spells VALUE FOR MONEY. Discounts and special offers are the order of the day at Birmingham Airparks Services and our Chauffeured Parking service certainly will help you save time and money. Discounted parking is available at Airparks and an on-site car park. 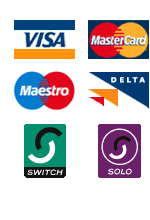 Enjoy travelling from Cardiff airport - Relax book your cheap airport parking space in advance. Book a space in the closest long term airport car park at Edinburgh at a price to suit your pocket. Park at Doncaster airport, right opposite the terminal - easy walking distance. Get the right airport parking deal at doncaster airport (Robin Hood). Convenient holiday parking at Glasgow airport to pre-book for less than the car park's normal gate rate. Airparks services at East midlands keeps your airport parking costs to a minimum. Enjoy quality parking on a budget. Convenient Liverpool airport car parking close to the terminal for less than the car park's normal gate rate. Start your holiday on a good note with easy going, cheap on site parking at Leeds Bradford airport. The best price for your airport parking when you fly from Aberdeen - Book with the Best - Holiday Extras! Check out our great car parking deals at Northern Ireland's busiest airport. Park at Newcastle's official on airport car park. Pay a low rate at the closest car park. Prestwick on airport car park available at a lower price - book early to guarantee your space. The car park is so close to the terminal that you can walk but the discounts are far from pedestrian! We've got a great deal with Exeter Unlimited Parking - A fantastic meet and greet service that means you go straight to your terminal!